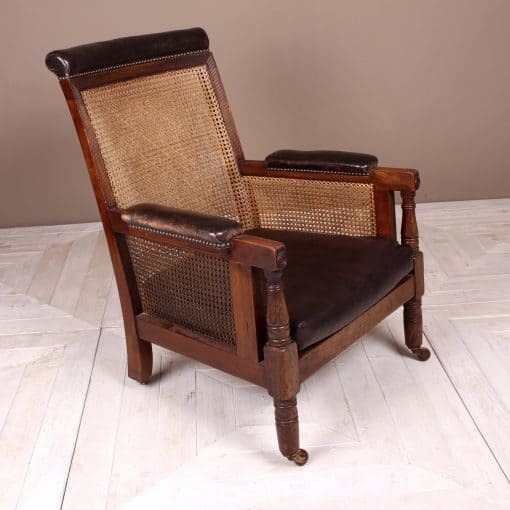 A classic Victorian mahogany Bergere Armchair dating to around 1840, if anything probably a little earlier in its design. The frame has a lovely warm colour and has nice reeding to the upper back and arm sections. 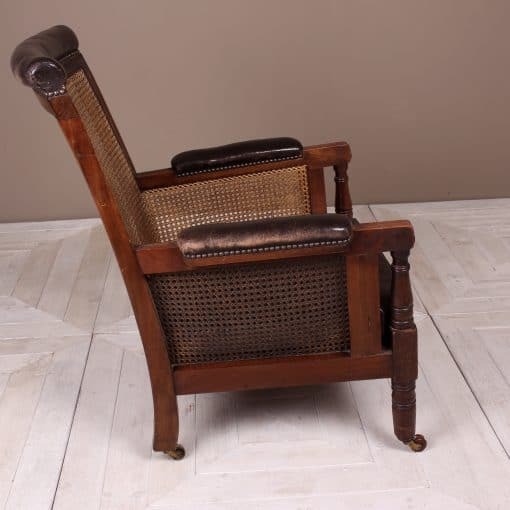 The armrests terminating with attractive bullseye decoration which sit above the ring turned arm supports. 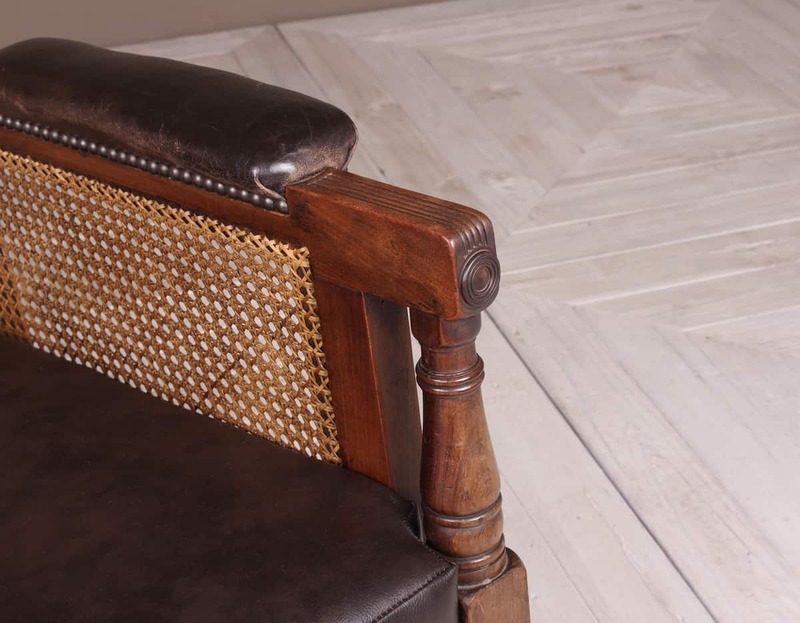 The crest rail and arms have padded leather rests. The back, sides and seat are all caned and the seat cushion has been replaced with a new pad and cover. The four legs all terminate with ceramic and brass castors. 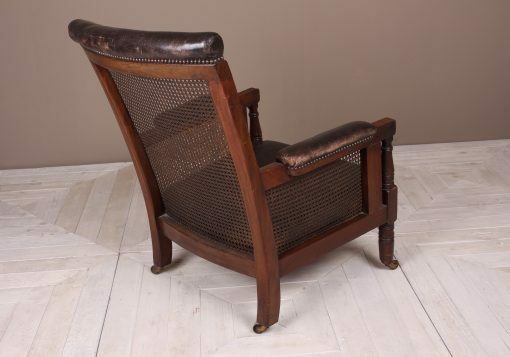 A good-looking antique chair. Please browse our other items and save on shipping with multiple purchases! Dimensions to follow.